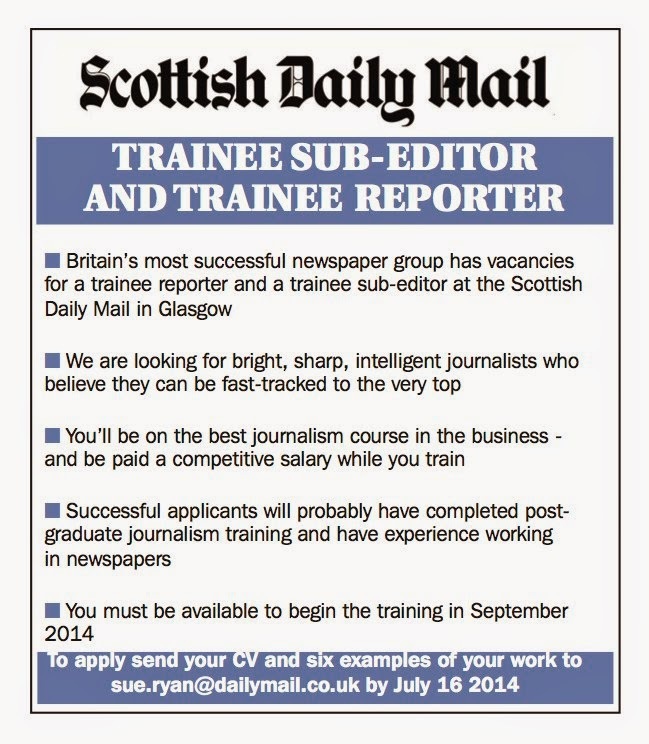 The Scottish Daily Mail in Glasgow is looking for a trainee reporter and a trainee sub-editor. The successful applicants will probably already be on a post-grad journalism course and have a fair amount of newsroom experience. They will join other trainees on the Mail's graduate training programmes which start in September. The training will be followed by placements on regional newspapers and agencies. If you are interested send CVs and six examples of your work to Sue Ryan at sue.ryan@dailymail.co.uk by July 16. The subbing scheme has been running for 12 years and many of the senior subs on the paper - in both news and sport - are graduates of the course. The reporting course has been running for seven years. Its graduates include Matt Sandy, who won young journalist of the year in the British Press Awards in 2011, Simon Murphy who was nominated in the same award this year and Fay Schlesinger, joint winner of the investigation of the year award at the British Journalism Awards in 2012. If you are applying you might want to take a look at my advice on how to prepare for an interview. Good luck. 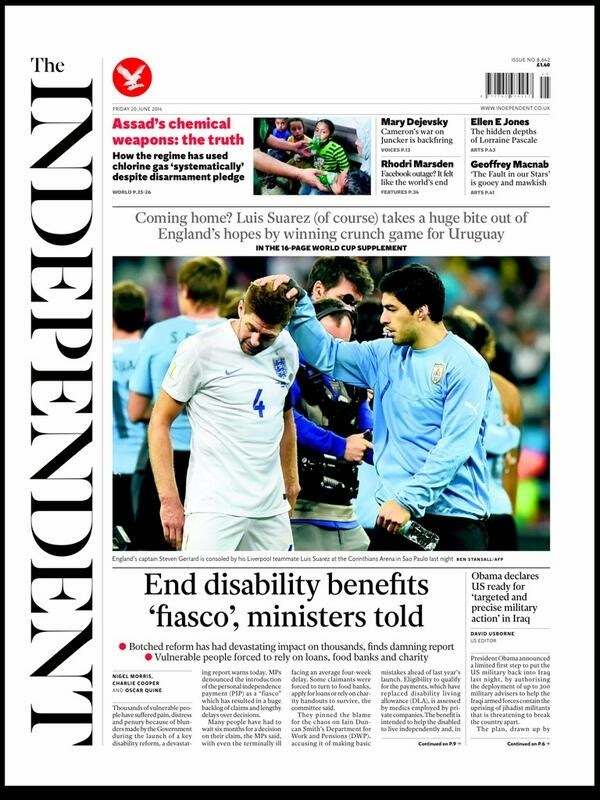 More details on Hold The Front Page. 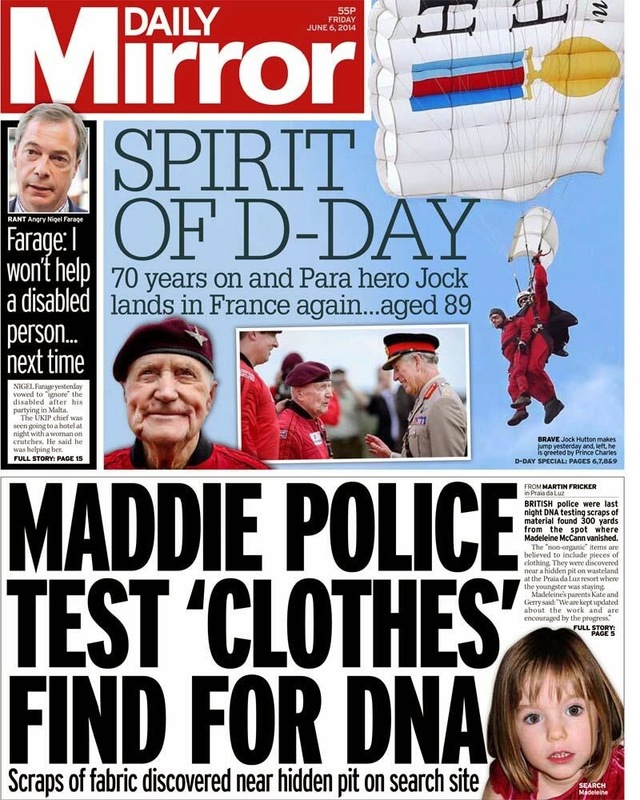 It isn’t every day elderly men, who are neither famous nor criminals, grace almost all of our national front pages. 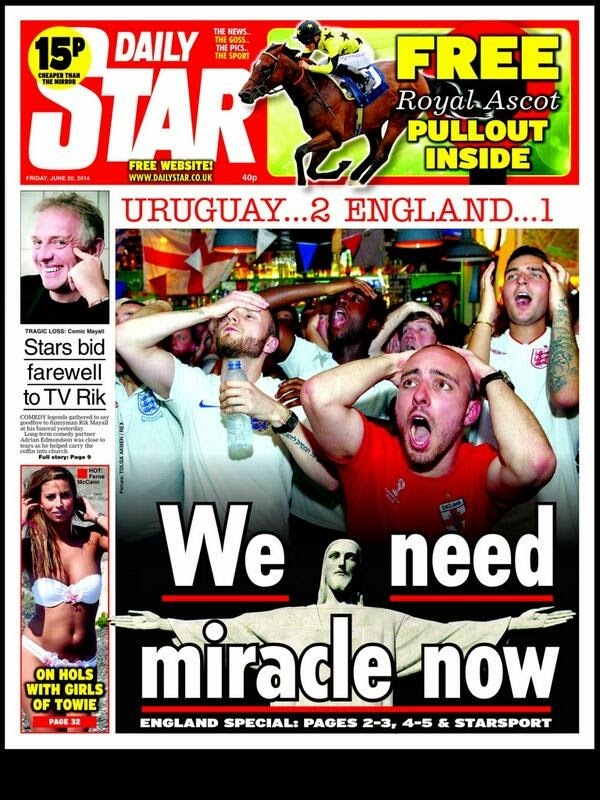 But today the papers, with the exception of the FT and the Star, are unanimous. 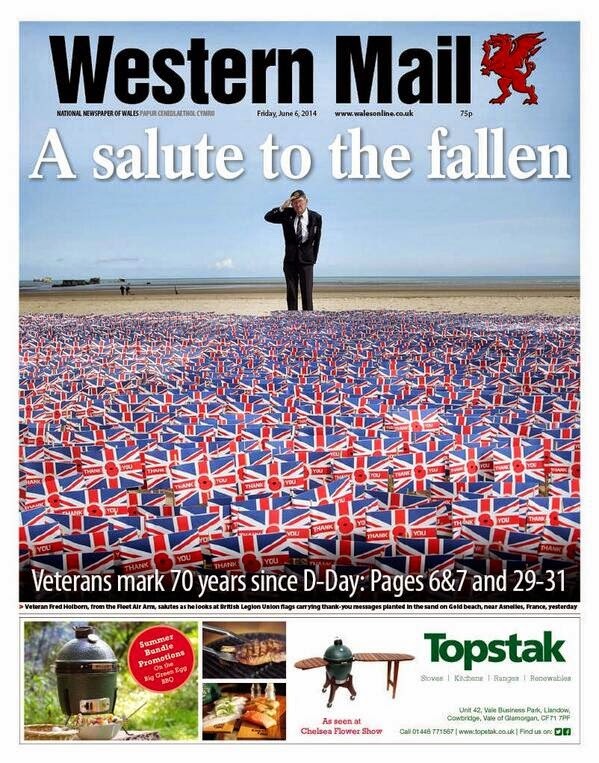 They have gone with the 70th anniversary of the D-Day landings. Hardly surprising when you look at the powerful photographs and pertinent stories. 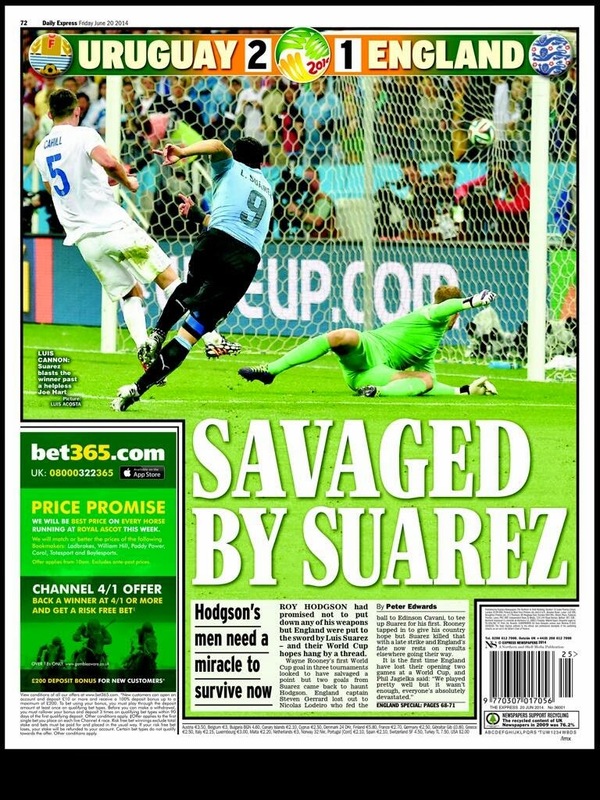 For me, The Daily Telegraph wins it on display. 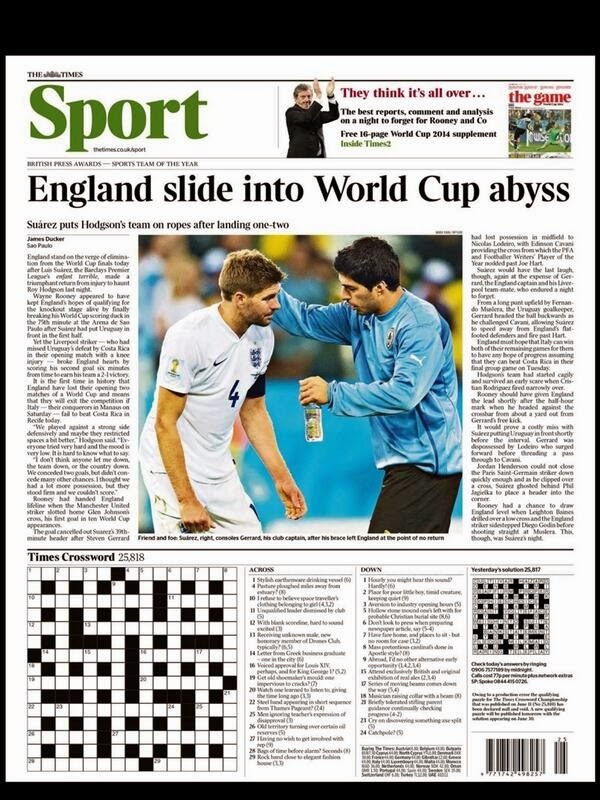 The strength of a broadsheet is to be able to wipe out the area above the fold with a single picture. The clear blue sky has allowed the understated headline to nestle up in the top left hand corner in white (and rare Telegraph caps). The cleanness of the page is helped by the blurb which uses minimal colour and is separated from the picture by the titlepiece. It all allows the picture to stand alone, uncluttered. Nice job. 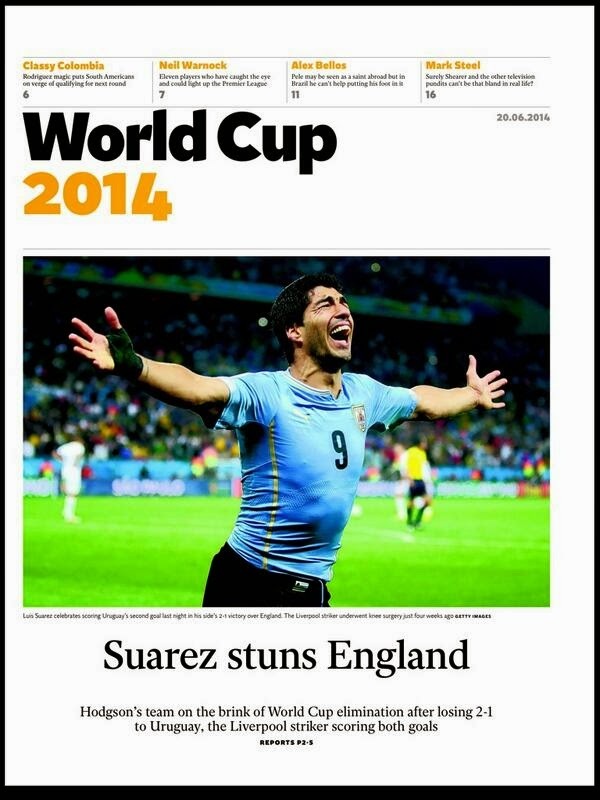 Hats off to the Western Mail too which uses a similar picture to wipe out Page 1. 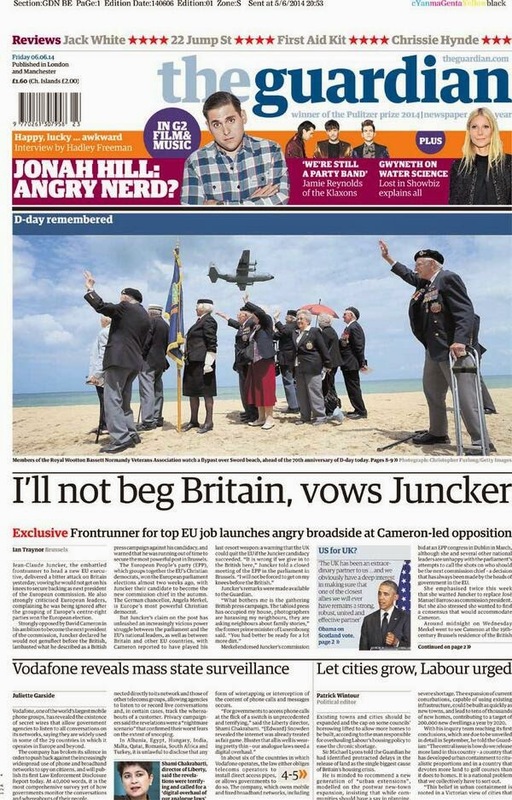 This time Fred Holborn, from the Fleet Air Arm, is saluting the flags … which gives the paper a strong headline. 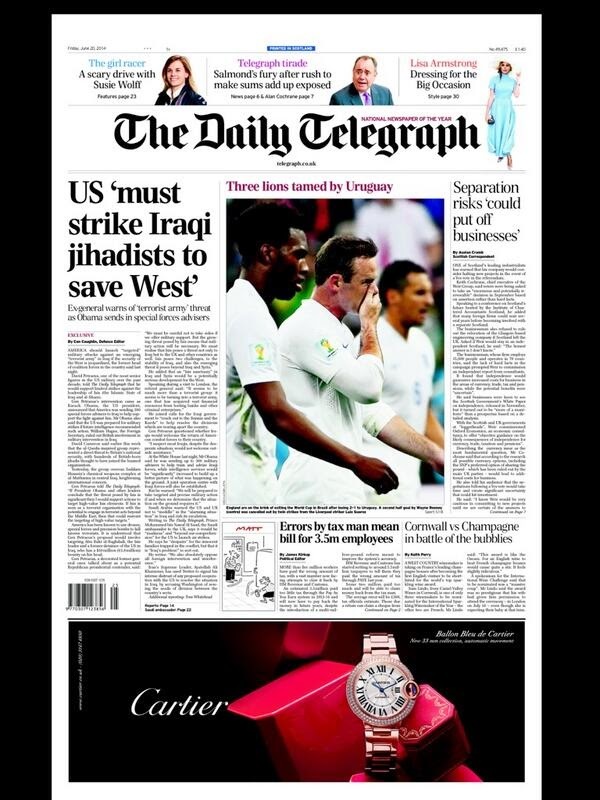 I’m not sure why the Telegraph didn’t use the salute. It certainly adds poignancy. 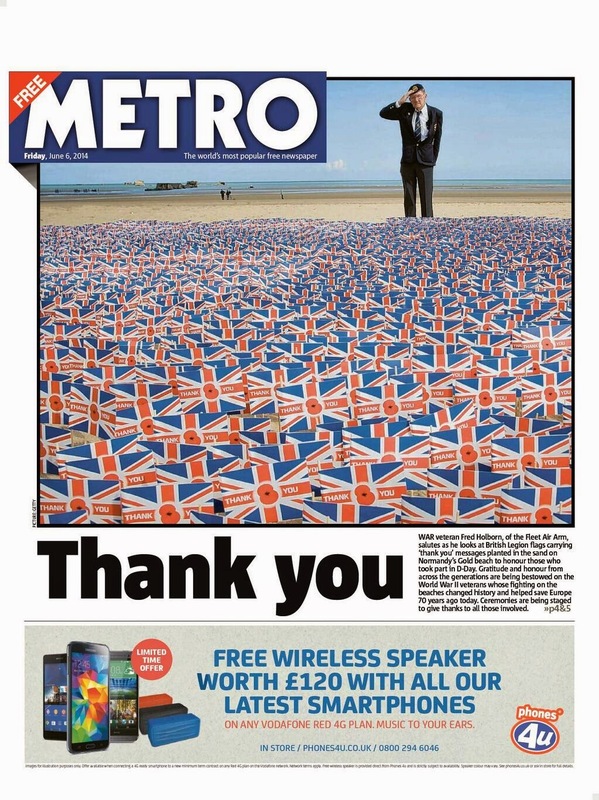 Metro also goes for the salute picture - with the simplest and most effective of headlines. Thank you. Well said. The picture is cropped tighter and Mr Holborn is off centre to accommodate the titlepiece. It is a bold front. 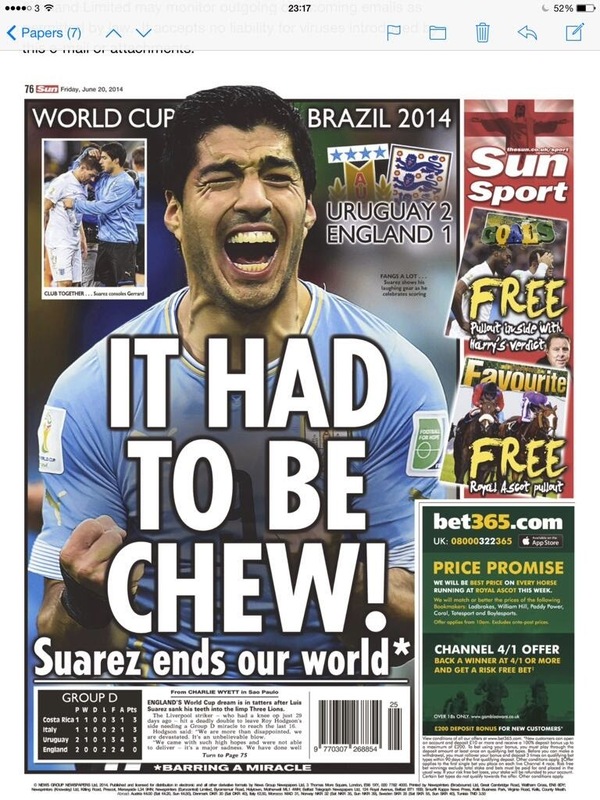 I am not sure, though, whether a free commuter paper, should wipe out its front page. When I travel on the Tube I want an i-type briefing rather than big display pictures. 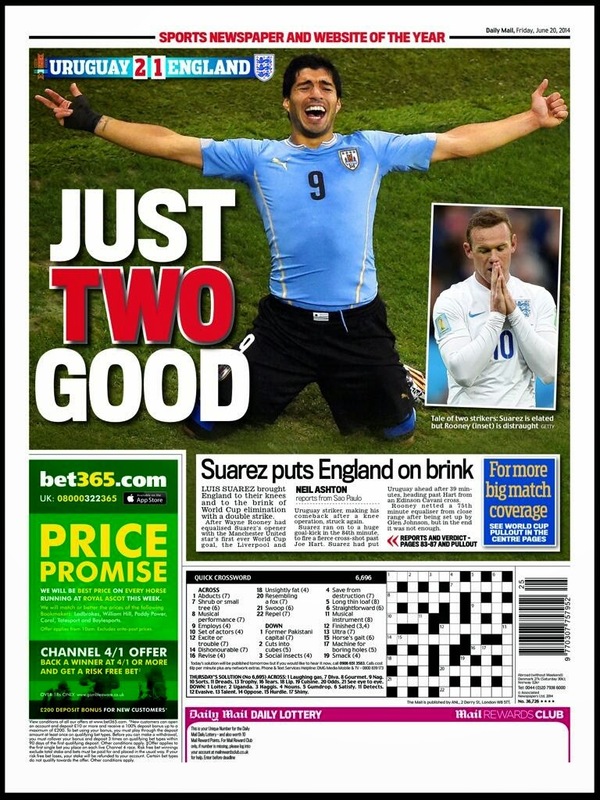 Perhaps Metro needs its own style, one that does not compete directly with its paid-for sister title. Incoming editor Ted Young will no doubt have a view. 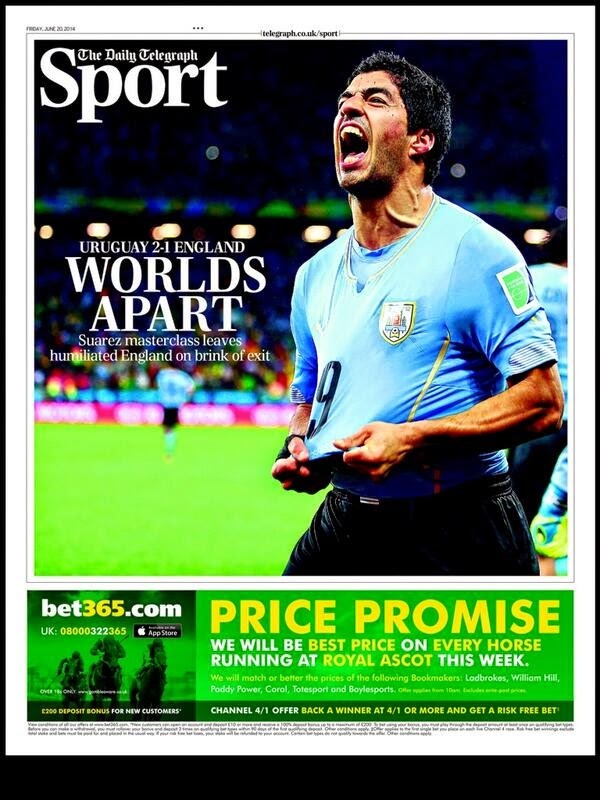 The i skies the picture - at the page’s entry point at the top left - and used the same headline as the Western Mail. 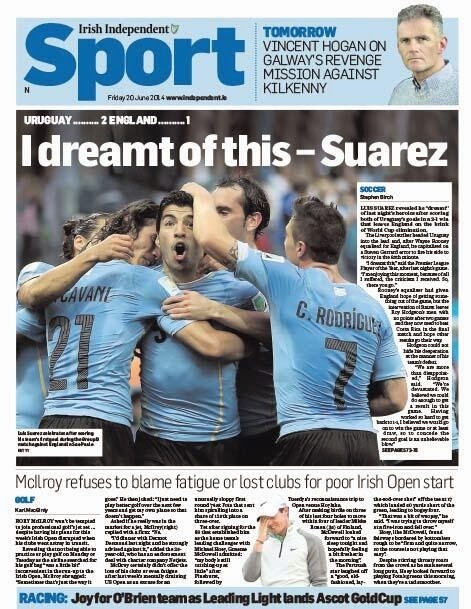 There’s a lot of white space around that main headline though - could have got a flight of nibs in there. 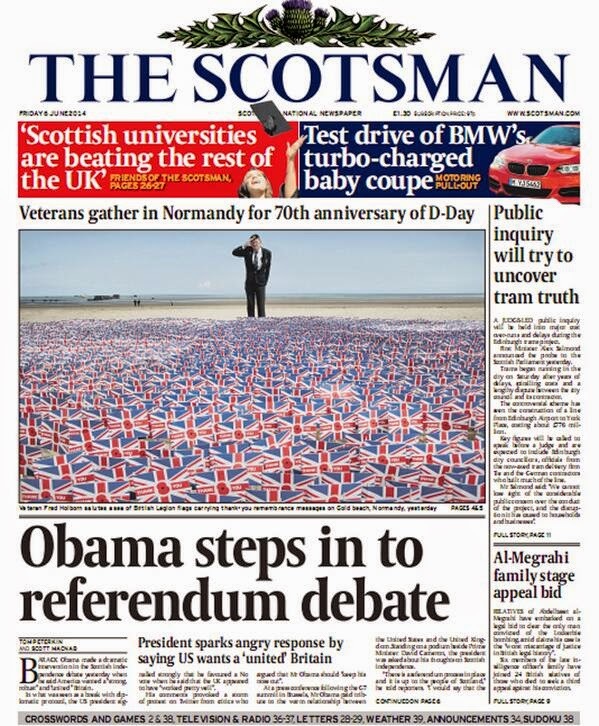 The Scotsman uses the salute picture too. It is a strong page but in the quest for a high story count resists taking the picture across the full width. 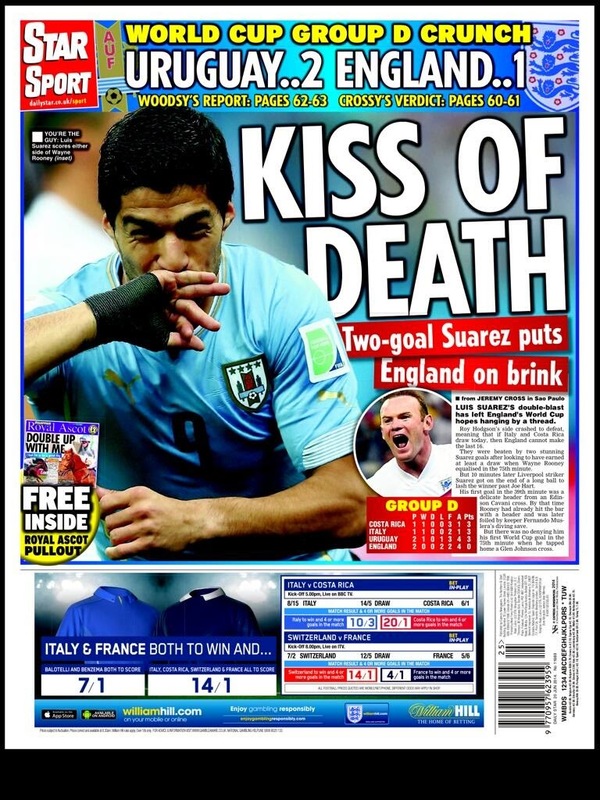 The headline is just about as straight as it is possible to be. If in doubt, tell it as it is. 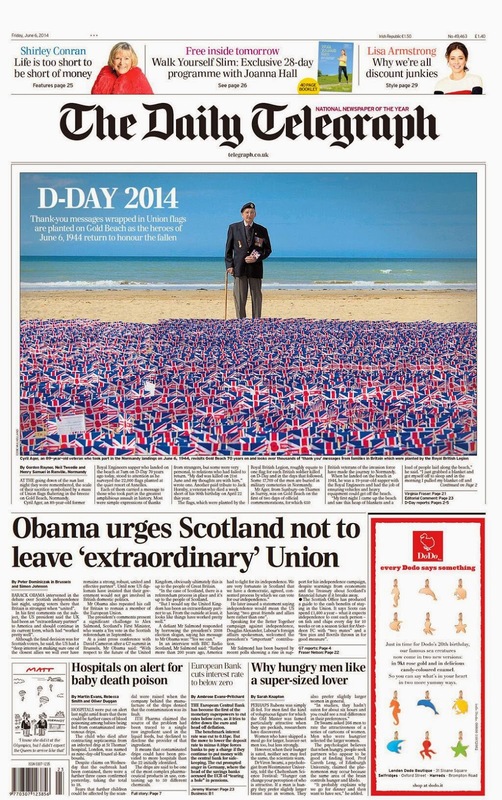 I am surprised that the Daily Express doesn't just wipe out Page 1 with D-Day. 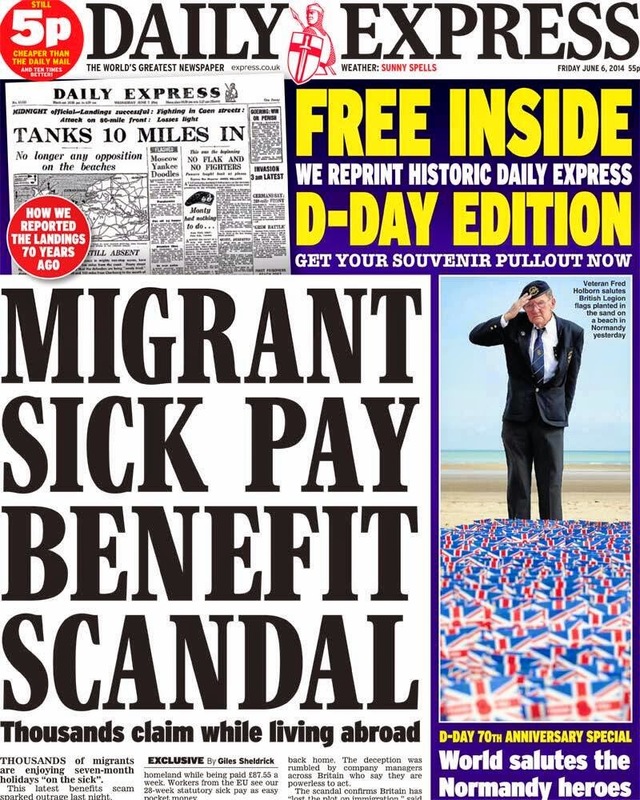 It’s the perfect topic for its readership and it’s not as if Migrant sick pay benefit scandal is an earth-shattering exclusive. I’m sure I’ve seen it before somewhere. The picture lends itself to a vertical crop but in doing so the number of flags and the scale of the event is diminished a little. 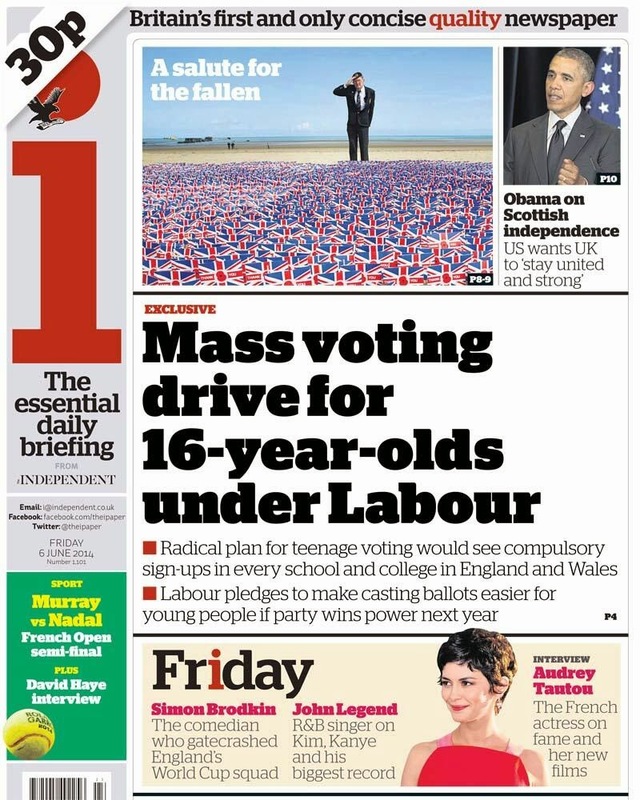 It is overshadowed by a big yellow caps headline too. Free Inside? Where else could it possibly be? 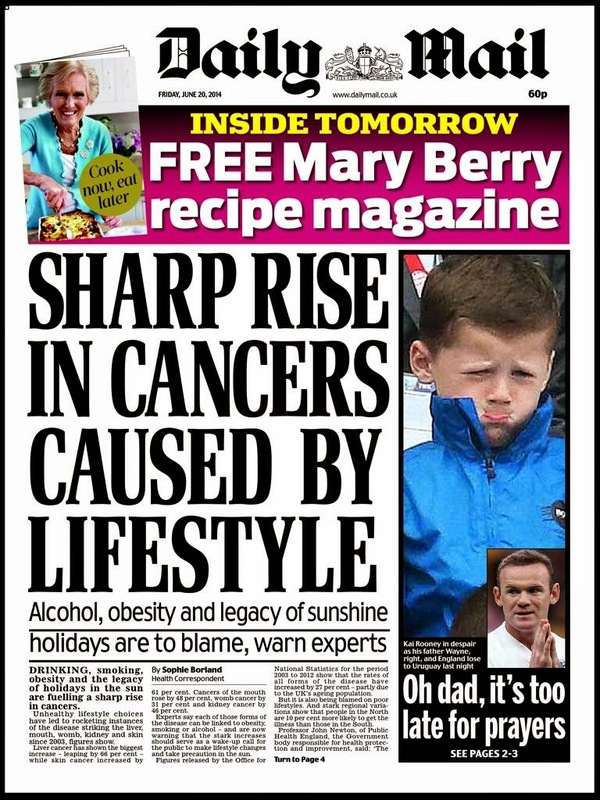 As it is prone to do, the Daily Mail goes its own way. It will have known that the flags picture was the obvious choice and would be on most fronts today - so it chooses to do something different. 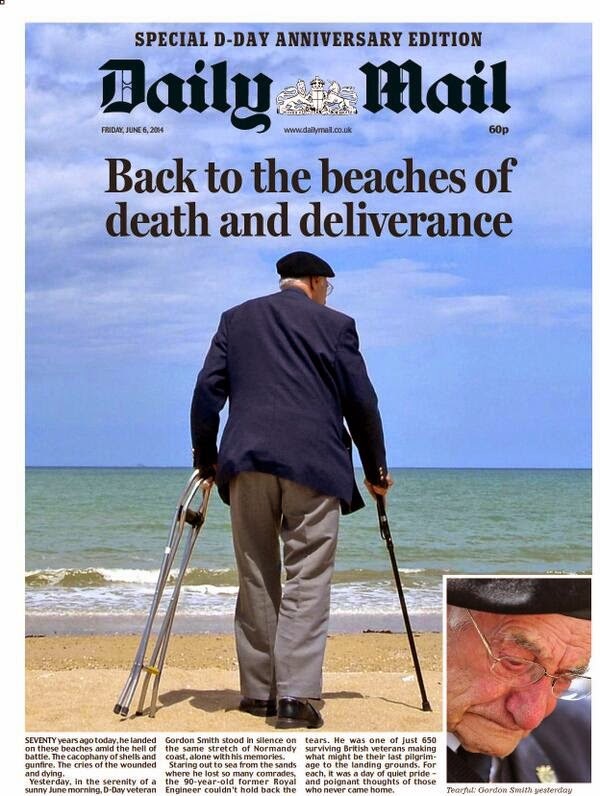 The paper focuses on an individual - former sapper Gordon Smith, now 90 and on crutches, gazing out to sea from a Normandy beach. A small inset shows him overcome with tears. 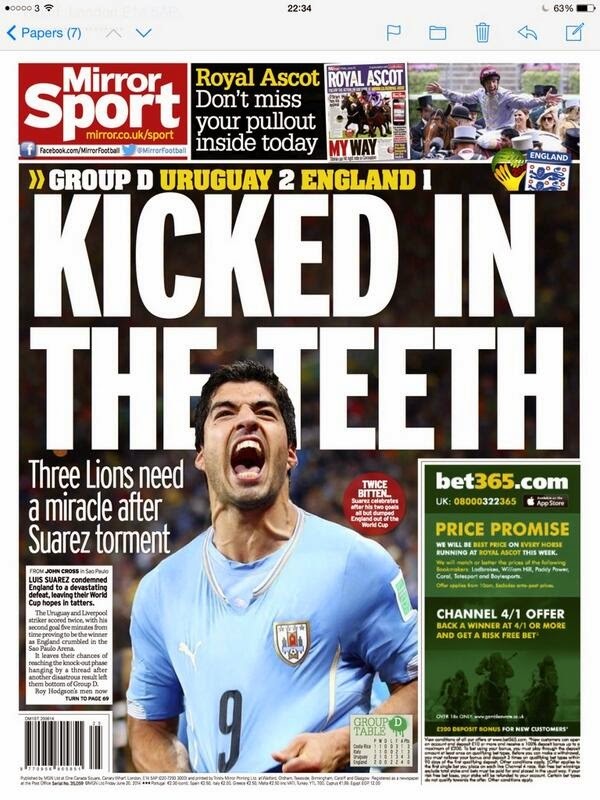 The headline, in lower case, is very strong. For once there is no blurb and few words … just a nicely crafted caption. It works. Another obvious picture option is the flypast. 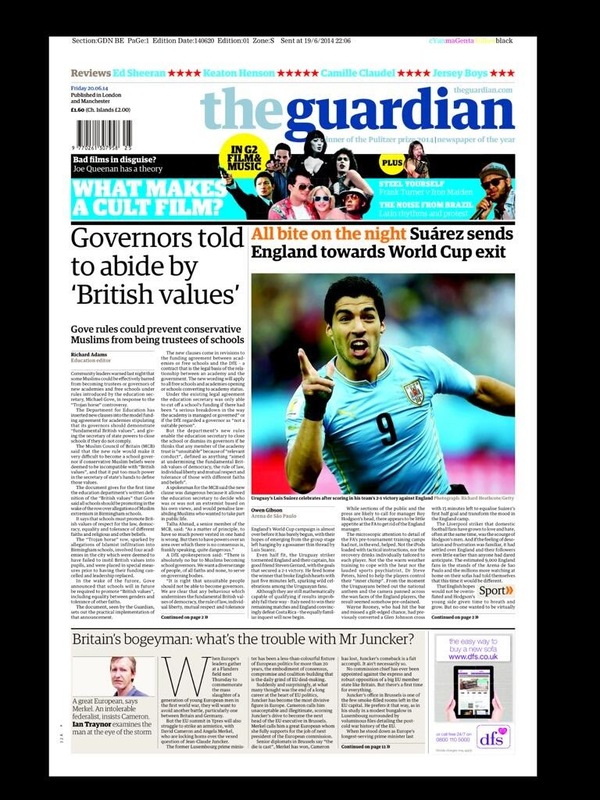 The Guardian chooses to use veterans waving as the planes go by - and uses it the full width of the Berliner size. I like the ex-soldier on the right who has dropped his stick to wave. Maybe more could have been made of that. It’s a bit different and has a lighter tone - but, for me, lacks the poignancy of the flags. 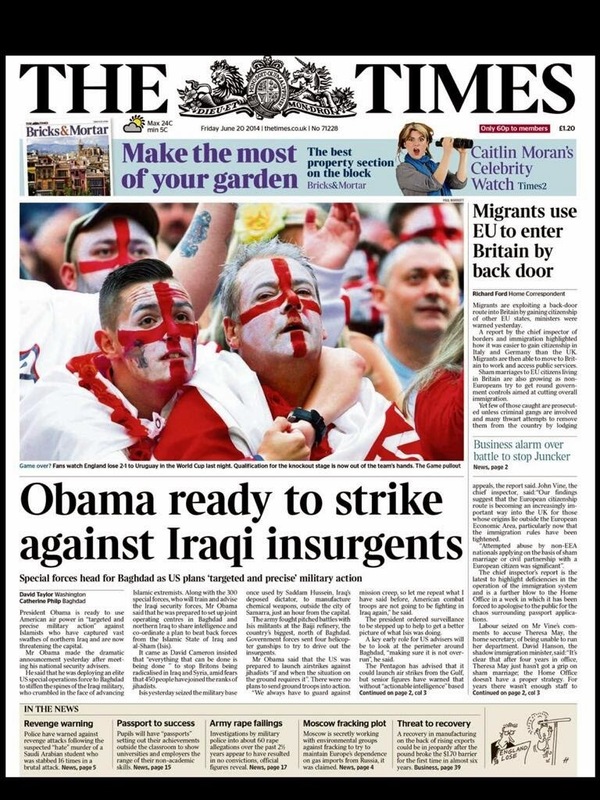 The Times moves away from the beaches and focuses on the paratroopers. In particular it tells the story of Jock Hutton. “Standing by is not really Jock Hutton’s way; so yesterday with a swagger that belies his 89 years Mr Hutton jumped out of an aircraft and parachuted on to the fields of Normandy, just as he did 70 years ago." This is one of the best stories of the day. Great words. The picture, though, is not Jock Hutton. 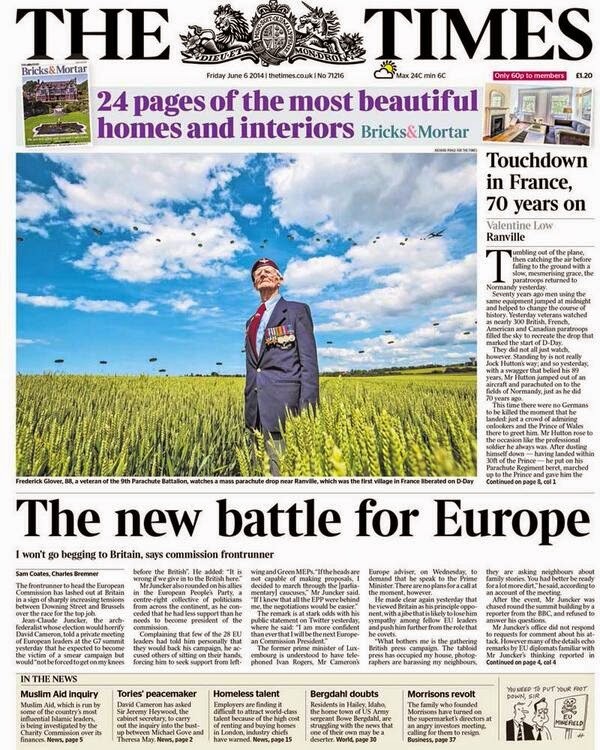 The Times has a related splash too - The new battle for Europe. Subtle. 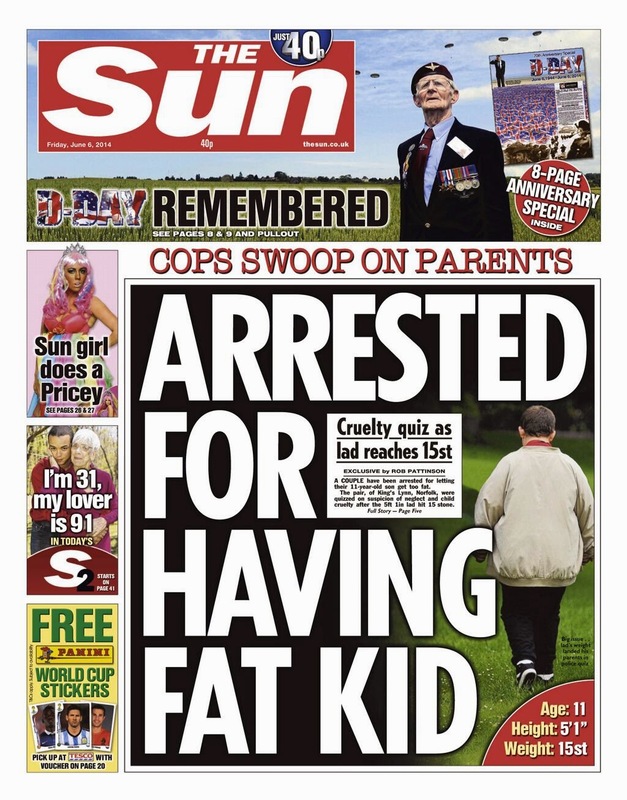 The Daily Mirror went for the Jock Hutton story too - and it uses a picture of Jock in the air. It’s a lovely photograph and story. I would have been tempted to have lost the picture of Prince Charles (and Nigel Farage) though. 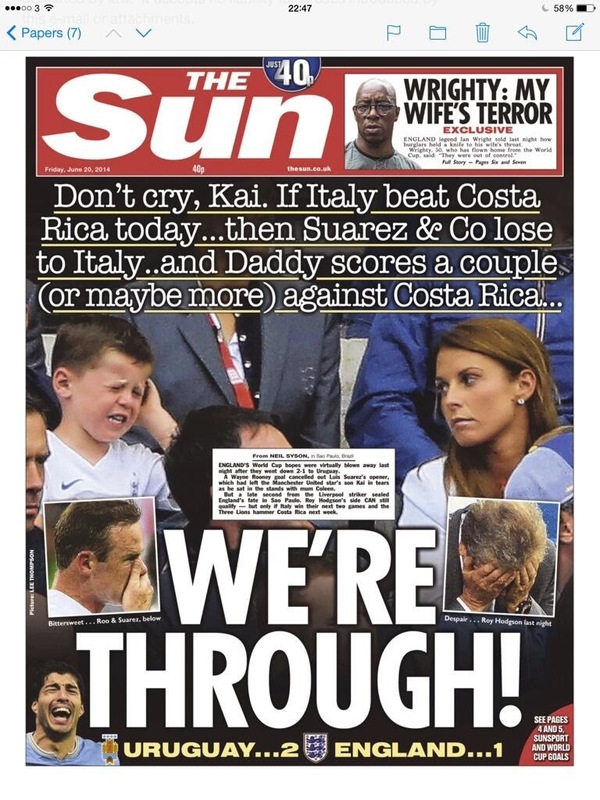 The Sun uses D-Day only as a blurb. It has a far more shocking tale of modern life to tell us. 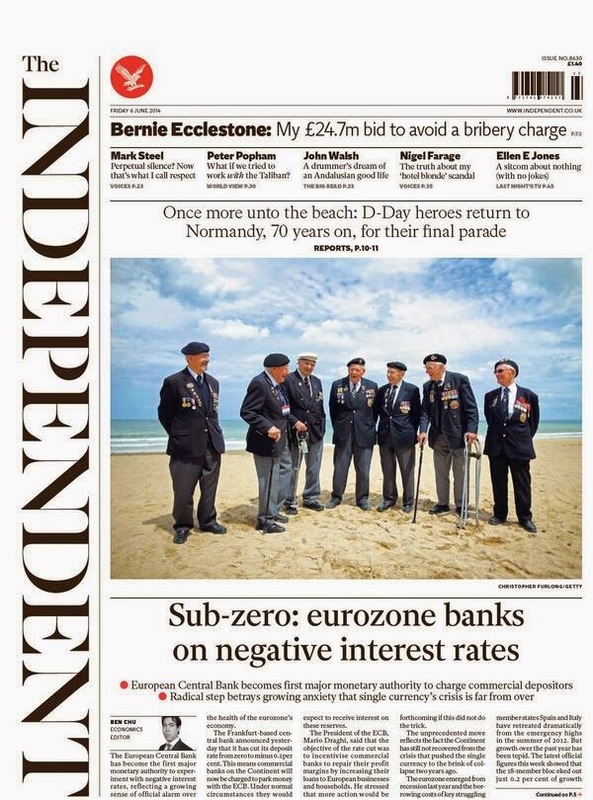 The Independent opts not to use the flags, the flypast or Jock Hutton - just seven veterans reunited on the beach. Very strange. I quite like Once more unto the beach though. There are certainly some memorable pages that will evoke a lot of emotions for a lot of people. 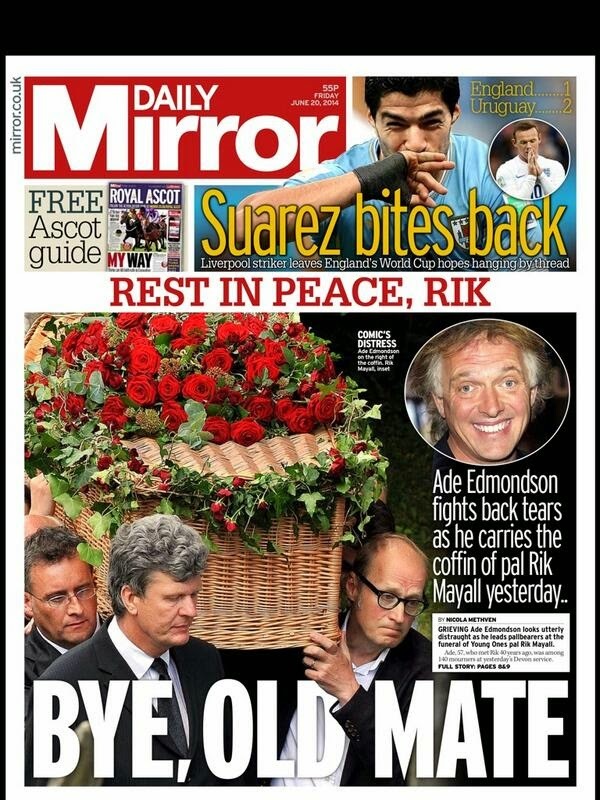 I really enjoyed going through them today - papers to make you proud. 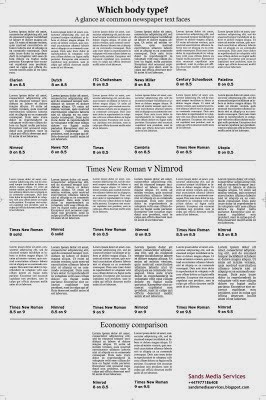 Times New Roman wouldn't be my first choice of typeface for a newspaper design. There are many more readable serifs for body copy as my chart below shows (you can read about the chart's origins here). That said, I appreciate the elegance of Times and Times New Roman and their historical importance. These are nicely reflected in this short film dedicated to the font by The Times and Sunday Times. 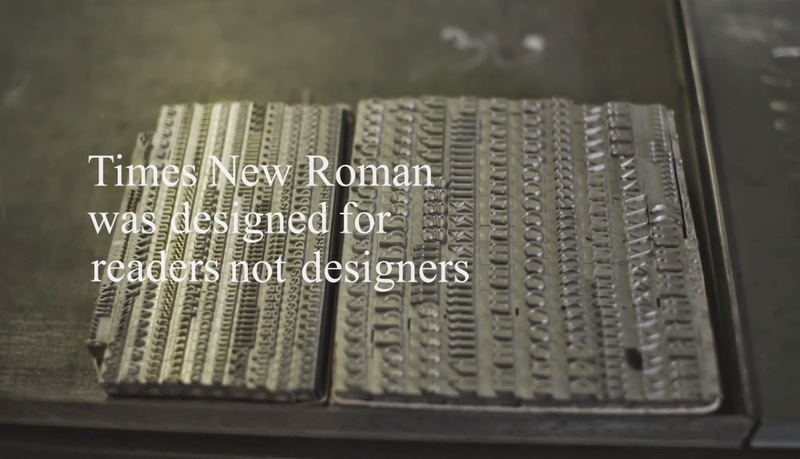 It's a must-watch for anyone interested in typography. The film is part of the Forever Unquiet series of shorts on journalistic issues which include photojournalism, the power of words and why journalists should question everything. When you get a minute take a look at them all. You won't be disappointed.